We are currently interviewing for the full-time position of a Human Resources Manager, to be based at our Minami-Shinjuku Head Office. The role is a combination of responsibilities evolving around the ongoing management of an International team of 50+ teachers: everything from sourcing, interviewing and contracting, through to the daily scheduling and ongoing support of a team. Your fundamental job function would be that of bringing talented teachers into the world of the Drama Method. This position would suit mid-career candidates with previous human resources experience, preferably including recruitment, and schedule planning and maintenance. ENGLISH THROUGH DRAMA...simple as that...Model Language Studio specializes in teaching English language and culture, by utilising a combination of language teaching skills, coupled with theatre/acting techniques...all culminating with your students going up on stage! A fun challenge for sure! 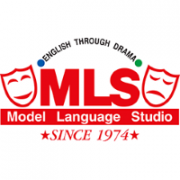 MLS was founded in 1974 and our instructors teach via our unique, "English Through Drama" method...fun for students AND teachers! Our client base ranges from children to adults, and international corporate companies to world-renown actors and singers. Our 30 schools are situated close to mainline stations within West Tokyo, Saitama, Yokohama, Kanagawa and Chiba.